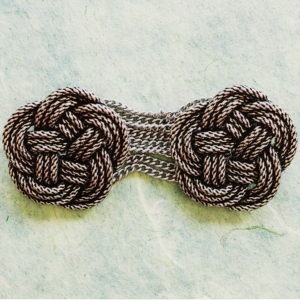 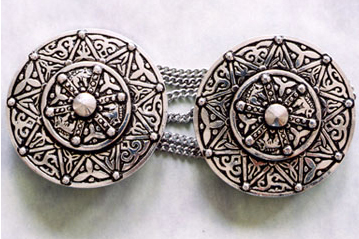 These medallions each have one sewing station and are approximately 33 mm across. 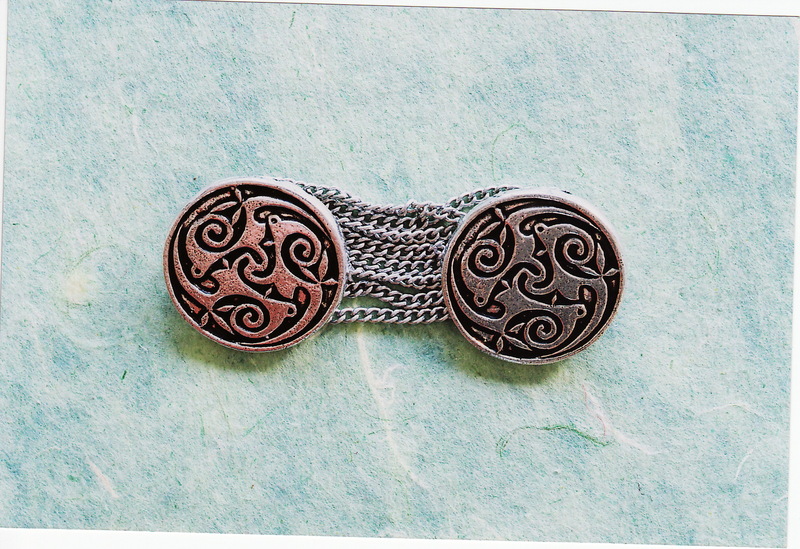 A trinity of Celtic curlicues that chase each other in an endless circle, these medallions are reminiscent of decorative wheels. 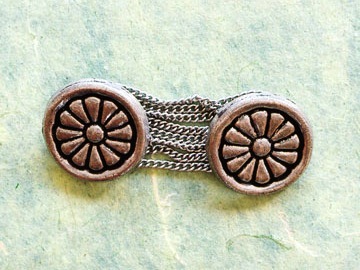 Perhaps a Celtic wheel of life, the wheels of a fast moving chariot, or the wheels of a child’s pull-toy.